Listening to this podcast with Dale Luffman, retired apostle in the Community of Christ Church and Book of Mormon historian, I remembered another thought I had studying Lehi’s dream. Lehi starts out the telling of his dream of the Tree of Life in 1 Nephi 8:4 with the words “methought I saw.” The existence of the word methought is interesting in itself. Methought is an Old English word that simply means “it seemed to me” or “I thought”. It doesn’t appear in the KJV, but is from the same time period and used by Shakespeare. It’s a good illustration of how the Book of Mormon was written to mimic KJV style English not the language of Joseph’s day. 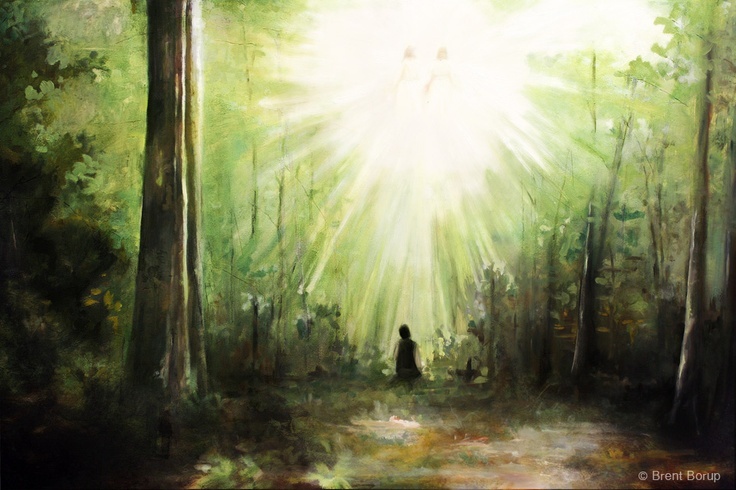 Alma uses the same language as he starts off relating the story of his angelic visitation. Here we have in scripture, two visions in the Book of Mormon that are both qualified with an “I thought I saw”. These are spiritual encounters that don’t occur in the physical world, and described with language that implies as I believe Luffman perceptively puts it “an imagination”. There is certainly an external spiritual element involved, but there also seems to be a participatory element involved to the extent where this qualifier is used. This should give a lot of insight into how Joseph Smith’s visions worked, which include the First Vision and other angelic visitations. Within this context, it’s interesting to reread Philo Dibble’s account of Joseph and Sidney’s vision of the celestial kingdom recorded in D&C Section 76. This manner of conversation was reported at short intervals to the end of the vision, and during the whole time not a word was spoken by any other person. Not a sound nor motion made by anyone but Joseph and Sidney, and it seemed to me that they never moved a joint or limb during the time I was there, which I think was over an hour, and to the end of the vision. I don’t intend to cast doubt on the actuality of these visions. But I do think the word methought in the Book of Mormon gives insight into how the visions might have worked, and how Joseph might have perceived them. This insight could also go a long ways to explain some of the historical issues that seem to challenge the traditional view many have of Joseph’s visions.